The rain outside is keeping the garden and green and me inside today. I swear you can almost see things growing! I am taking advantage of this rainy afternoon to get some work done and prepare for the coming week, most importantly to get ready for a presentation tomorrow afternoon when I am going to Marion County to speak to a group about my favorite new and underused plants for Florida gardens. I’ve been working on compiling my list of plants for a few weeks and the gorgeous plants in the FNGLA’s Floriculture Field Day trials were the starting point for me. From double snapdragons to new caladiums, the plants in these trials have been impressive. 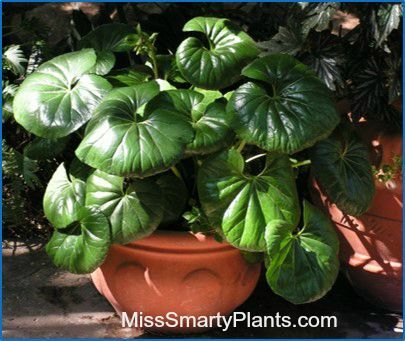 There are also quite a few plants recently introduced by Monrovia or the Southern Living Plant Collection series I think will work really well. I think the one point I need to address early on is where do we “find” new plants? Some of these, especially the annuals, are the result of years of selective plant breeding that has produced new colors or desirable characteristics. With the caladiums, for instance, I’ve actually visited Dr. Bob Hartman’s fields where he is working each year to cross pollinate different varieties. During this process he collects the seeds and then the next year grows them out to see what his efforts have produced. It is amazing to see the variations and while most won’t be great, it is the rare handful of exquisite plants with new colors or vigor that make it worthwhile. Some of the others plants featured on my list are species that just haven’t been available in cultivation. Farfugium is one of those that is not the result of plant breeding, but is now more available thanks to tissue culture being utilized for propagation and an increased demand. And, I’ve also included underused plants. 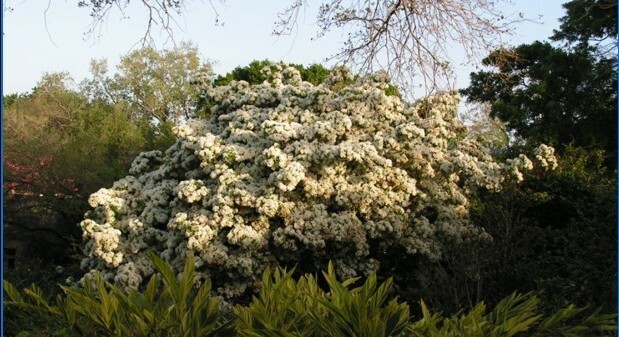 Chionanthus virginicus, Fringetree, is a native small tree that is not new in anyway but certainly an underused plant in landscaping. 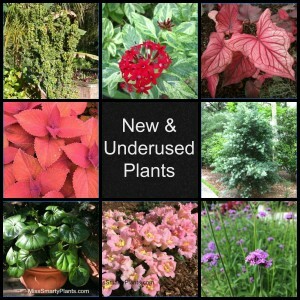 To see all of the plants I’ve included in my presentation simply check out my Pinterest board, New & Underused Plants.